Here is the latest Great Ball Pit video showing off the 42062 Container Yard Remix module. 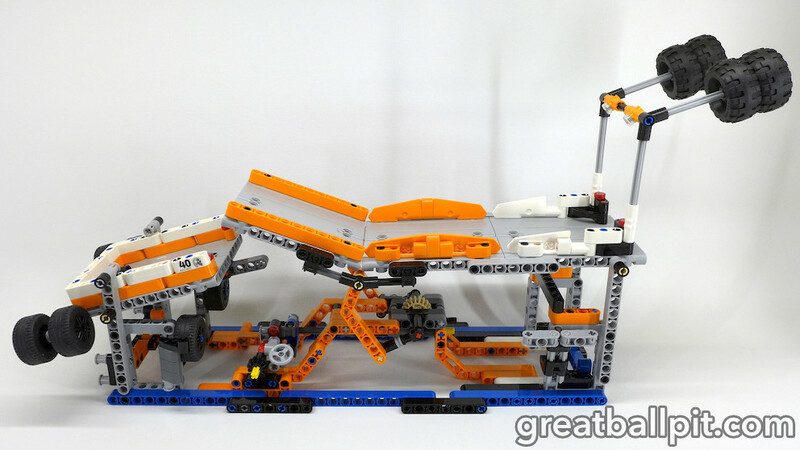 This module was built entirely from parts included in the 42062 Lego Technic Container Yard set. It uses a tipping ramp mechanism, and is reliable enough to work in a GBC layout when you upgrade it with a Power Functions M motor.